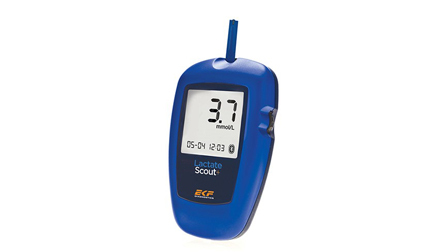 EKF's range of sports performance blood analyzers provide coaches, athletes and clinicians with accurate and easy-to-use diagnostic tools that help improve results on the track, field or snow.Biosen and Lactate Scout+ have been designed to deliver fast, lab-accurate results for the amount of lactate in blood; Biosen users can obtain glucose readings simulateously through the additon of a second channel.Testing lactate has been an established parameter of performance diagnostics in sports for many years. Understanding an athlete's lactate levels helps determine their optimal training regime, avoid over or under exercising and monitors performance progress. Only targeted and healthy training leads to success.ds.